This is a post for IWSG. 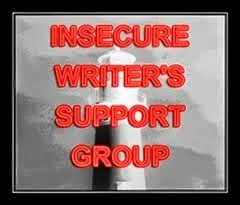 The Insecure Writer's Support Group posts every first Wednesday of the month, releasing our neuroses into the world. Come join us! Thanks to this month's co-hosts: Charity Bradford, S.A. Larsen, AJ, Tamara Narayan, Allison Gammons, and Tanya Miranda! On June 13th, I pressed the "publish" button on my self-pubbed historical novella PEARL. So now, three weeks later, I can say "I wrote a book," but more importantly, "I wrote and published a book." I played with my Amazon keywords. 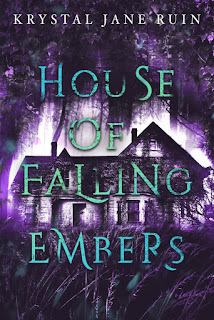 I've had my tight little writing group let me do guest posts and interviews on their blogs. Here, here, and here. I've joined a historical fiction group on Facebook. I joined an author's group on Goodreads---which seems to consist of people messaging me about their books and if I want to review them, which strikes me as not the right way to market anything. There's something really exciting about having something of yours out in the world. There's also a feeling of puzzlement, of "Oh, yeah, I wrote that, didn't I?" It's a learning process and an experiment. If anything, I'm feeling insecure about the next project. Will I ever write something as good as Pearl? If I do, hopefully it won't take as long to get there! I know exactly what you mean about the feeling of puzzlement! I'm still figuring out the whole marketing thing, but if you ever want to brainstorm ideas, or get any (inexperienced) advice, just drop me a line Good luck! Thank you Angeline! I know all about the ways trade publishers market their books, but self publishers? I've seen some of my writing buddies do it, but they write genres! If you can write something good once, you can most definitely do it again! ^_^ They say if you get struck by lightning, you become that much more likely to get struck by lightning again. If that helps at all. Lol! That's....kind of scary. But thanks. lol. Congrats on the first book! That is exciting. I've written historical fiction myself, so I'll have to check it out. Thank you Tamara! What time period do you write? Whoo! Cheers to Pearl! And you'll definitely write something great again! Congratulations on publishing your book. Enjoy the feeling. Every time I publish a book, I worry that I won't be able to do it again. That's what keeps us on our toes. Thank you! I suppose so. I have new plot bunnies running around because of publishing Pearl. Hop, hop, hop! Congratulations! It's a major accomplishment. Think of it in this way: how many people who plan to write and publish a book, ever get to fulfill this dream? That's true. On to the next one! Congratulations !! That is quite an accomplishment. I could never keep a train of thought long enough to write a book !! Congratulations on publishing your first book!!!! And it sounds like you're doing everything right. Way to go! Congratulations! That's wonderful! I felt much the same way after my first, and sometimes, I still do. I just keep writing and keep moving forward. It's kind of a strange feeling, really. Congrats! Nothing like that feeling, is there? Good luck with all your future endeavors. So happy for you! You're motivating me for sure! Lol. Can't wait to read your stuff, when you're ready! Awesome. Congratulations! I'm going to check it out. You've done it once, and now you know the process. You can, and will, do it again. Wonderful. Thank you, Mary. I hope you enjoy it.